Posted on July 19th, 2017 by Lorna Parsons and filed under BPN News, Collaboration, Community, Events, Office. On Saturday 29th July we will once again be opening our doors as part of the Jewellery Quarter Festival and the Open Studios event. 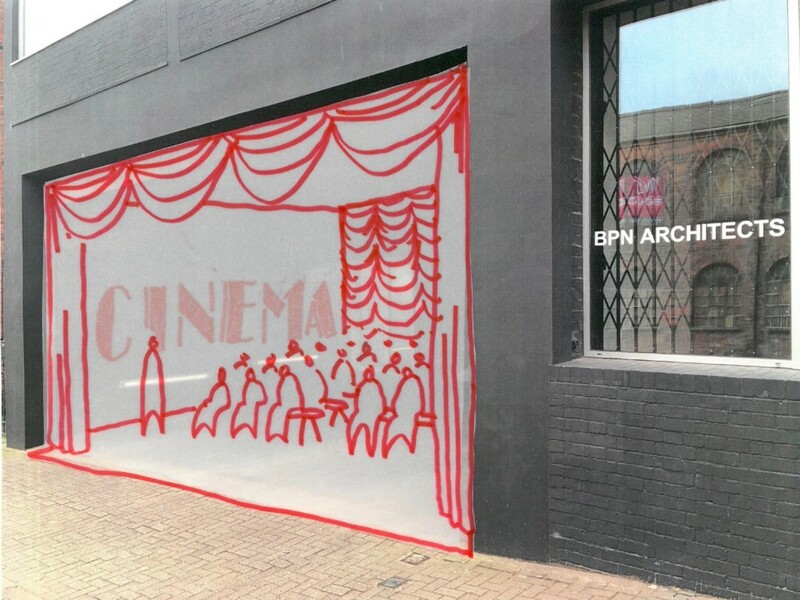 This year with help from Flatpack and Cinema For All we will be creating a pop-up cinema, aptly named…’Loading Bay Cinema’. We’ll be open between 11am – 4pm and throughout the day visitors will be able to enjoy a diverse selection of short films produced by local filmmakers and artists. There will, of course be refreshments, a plethora of cake and a chance to meet some of the BPN team. You can find us on Mary Street, just off Caroline Street. More information about the Jewellery Quarter Festival 2017 and Open Studios can be found here.